If you do, I will bring good chi/kudos/mojo* and especially eternal bunny love to you and your family. Maybe your neighbours too. Definitely to your garden, although I am too laid back to dig these days. I would just look very, very good in it. 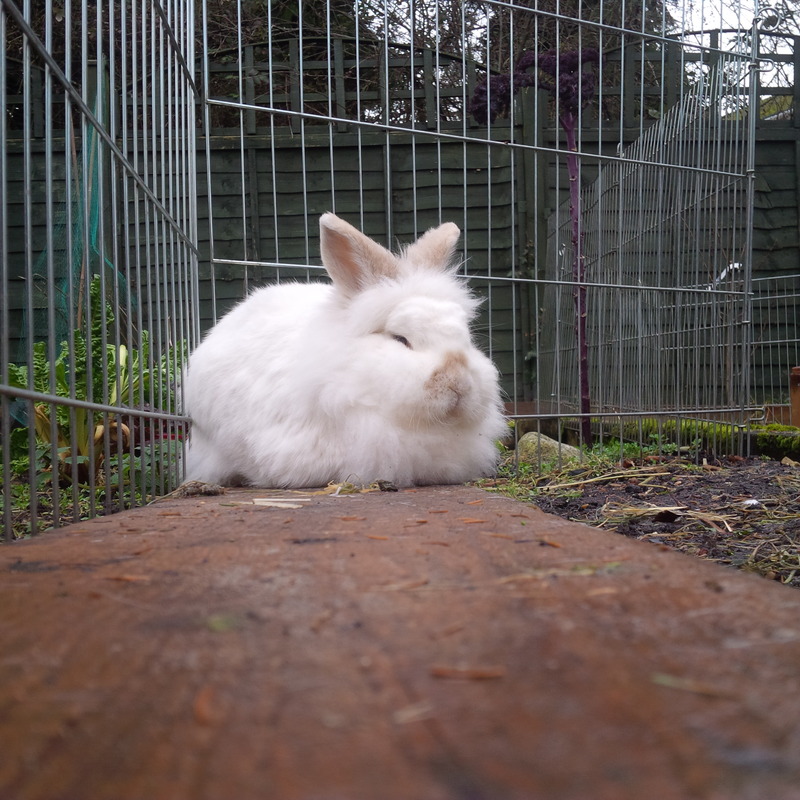 I like sunning myself, and peeking out from my hutch to see who’s coming. I like making hay castles and I like to lie next to Frappe for cuddles and looking cute together. I do not bark, I have never bitten a postie and my poo smells of roses (OK, maybe not). When I see you, I will be overjoyed and come running for fusses. I am a zen bun.